U.S. Rep. Richard Neal, D-Springfield, the new Democratic leader of the House Ways and Means Committee, at the National Press Club on Thursday, called Social Security a "bedrock issue" and said, "Social security is safe." What Neal says matters, since his committee oversees Social Security, Medicare, Medicaid, trade, and taxes. President-elect Donald Trump, both during his presidential campaign and in the transition, agreed with Neal, promising that he would not make any cuts to Social Security. However, Senate Majority Leader Mitch McConnell, Speaker of the House Paul Ryan, R-WI, and U.S. Rep. Tom Price, R-GA, Trump's pick to head the Department of Health and Human Services, have been proposing privatization of Social Security and reductions in benefits. No one knows who Trump will listen to last in his "art of the deal" with Congress. Neal said Thursday to the National Press Club, "People have paid in. It's paid for 25 years. The idea that there is a dire immediate threat is not based on fact." Neal is right. The Ronald Reagan-Tip O'Neill, and Claude Pepper deal of 1983 guaranteed Social Security's solvency at least through the middle of this century. Neal added, "I'm for mandating savings (as Social Security provides) for retirement. The authors of the 401k's have told me that the 401k is supplemental income," whereas Social Security is guaranteed. Congressman Richard Neal challenged Republicans Thursday to work with Democrats to fix issues with the Affordable Care Act, contending that they will be hard-pressed to come up with a more successful alternative to the health care law known as Obamacare. Vermont Senator Bernie Sanders recently brought a giant print out of a 2015 tweet by Trump to the Senate floor proclaiming his insistence that he would not touch Social Security. "Right now, before Congress wastes an enormous amount of time, Donald Trump has got to come forward - maybe through one of his tweets - and say clearly that Donald Trump will veto any legislation that cuts Medicare, that cuts Medicaid or that cuts Social Security," Sanders said. Looking at who the president elect has put on his transition team to handle Social Security, it is obvious why Sanders and most Democrats are not convinced that Trump will keep his promise not to make cuts. It's not even just McConnell, Ryan, and Price. When Tom Leppert, the transition team's top Social Security advisor, ran for U.S. Senate in Texas in 2012, he ran on a platform of cutting and privatizing and raising the retirement age for Social Security. According to the Huffington Post, in the '90s, Mike Korbey, who is heading the Social Security Administration transition team, called Social Security "a failed system, broken and bankrupt." In reality, Social Security has not been a failed system. Far from it. There is a myth in some quarters that the social safety net has failed. Here are the facts: two out of three senior citizens depend on Social Security for most of their income. Without it, 45 percent of seniors would live in poverty. With it, that number is 10 percent. The goal of Social Security is to keep people out of poverty. The Center on Budget Priorities says that Social Security keeps 22 million Americans out of poverty. Any cuts in Social Security will drive people below the poverty line. If we've learned anything about Trump, it's that not only doesn't he shy away from fights, he embraces them. One of the first fights he has as president will be with his own party over Social Security. On one side are Congressional Republicans who have control of both bodies. On the other is one of the key promises of Trump's campaign, actually supported by Democrats. Whoever wins the fight will determine whether or not the elderly, now and in decades to come, live in poverty. 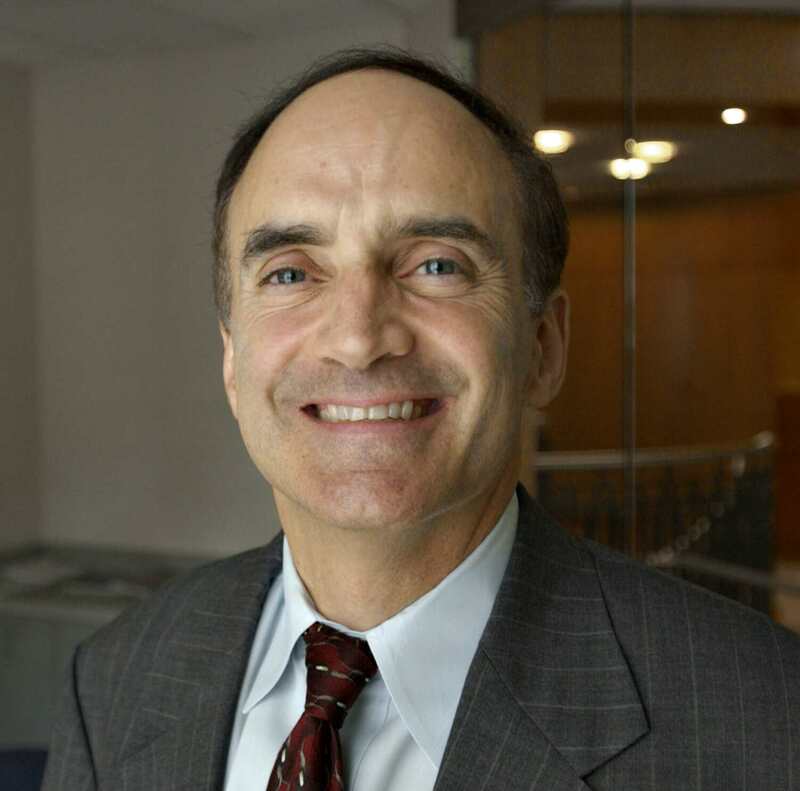 Robert Weiner, a former Amherst resident, was a spokesman for the Clinton White House, Chief of Staff of the U.S. House Aging Committee, spokesman for the House Government Operations Committee, and a political aide to Sen. Ted Kennedy. Ben Lasky is a senior policy analyst at Robert Weiner Associates and Solutions for Change. The views expressed in this article are the sole responsibility of the author and do not necessarily reflect those of this website or its editors. Why not free 4-year college? Richie Neal should introduce legislation to raise the cap on FICA taxes. The 1% have received 90% of financial gains since 2008. Any congress person arguing against this legislation will out themselves as a total tool of the 1% and an enemy of the people.